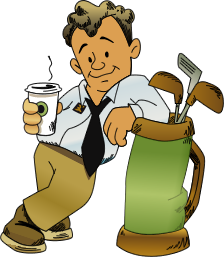 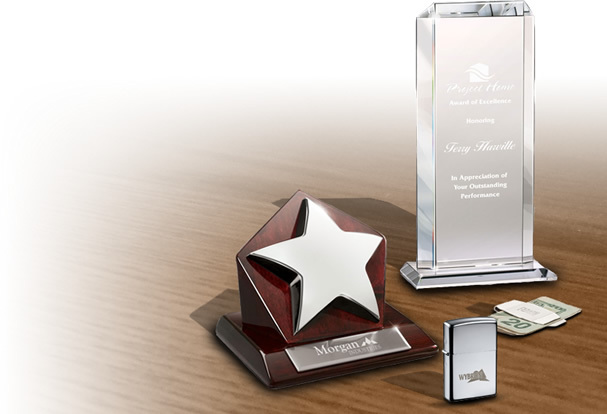 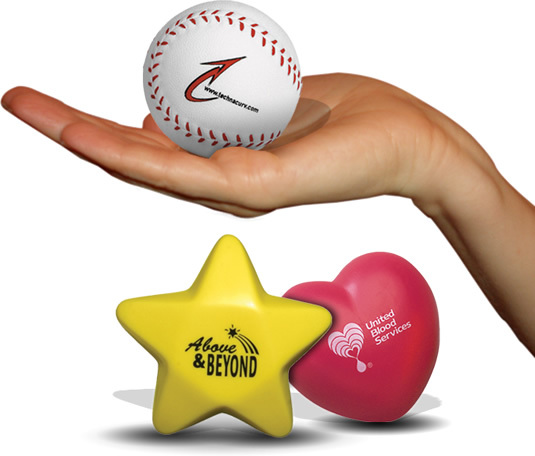 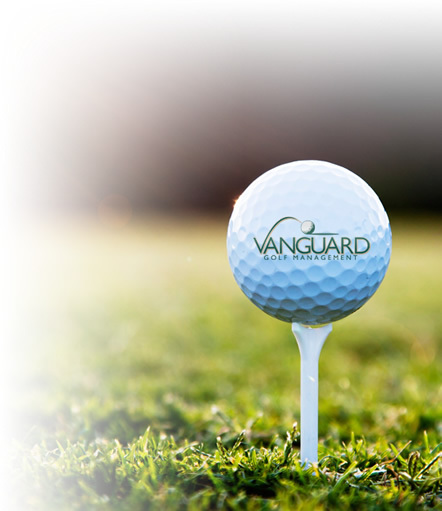 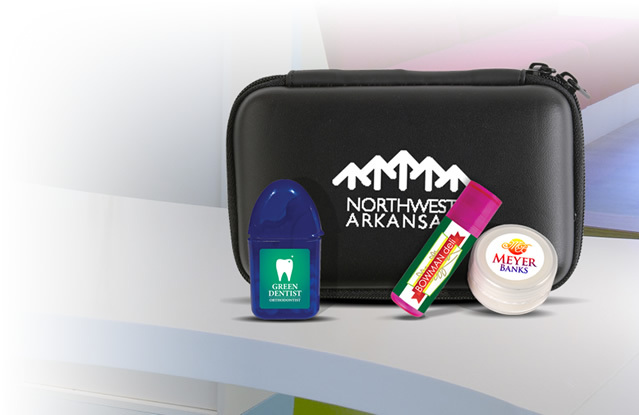 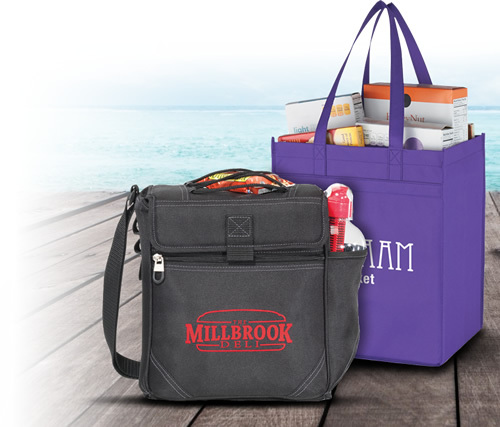 Our company showcases wide ranges of promotional products for the clients to aid them with their business success. 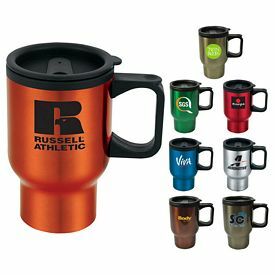 Custom travel mugs are exclusive promotional products that have been manufactured by us to offer you supreme business support. 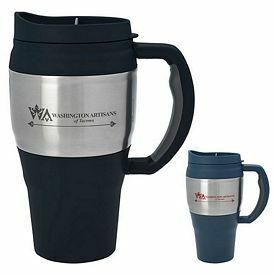 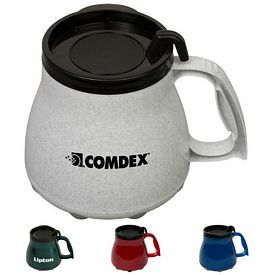 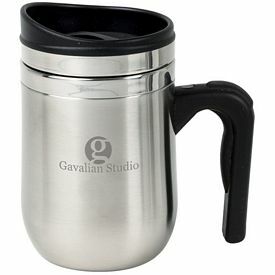 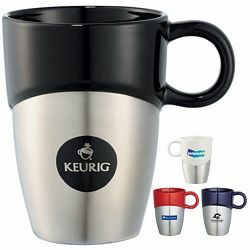 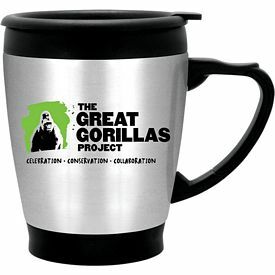 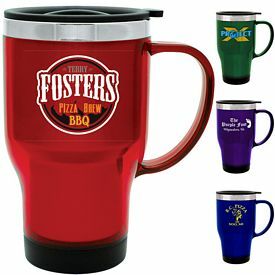 Customized Travel Mugs can be Stainless Steel, Plastic, or Acrylic, but all are used to keep drinks safe during travel! 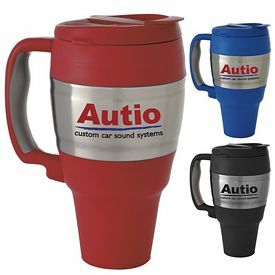 Branded travel mugs are not the prototype promotional travel mugs, but manufactured with complete innovation and molded with utmost precision. 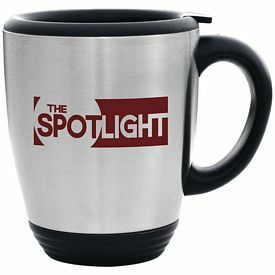 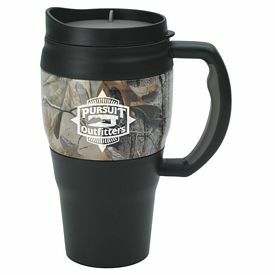 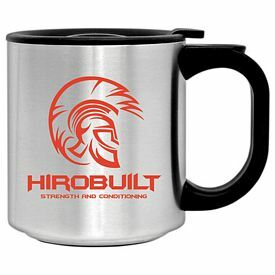 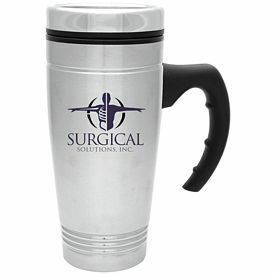 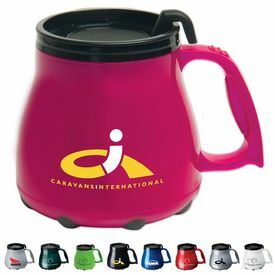 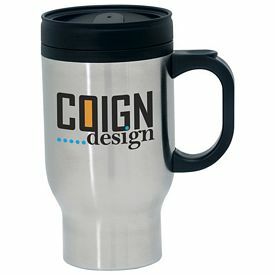 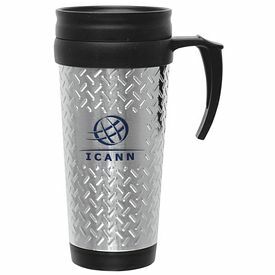 We feature durable logoed travel mugs so your business can get long term promotional benefits, as well as enjoy a positive business reputation and PR with the clients, distributors, and suppliers. 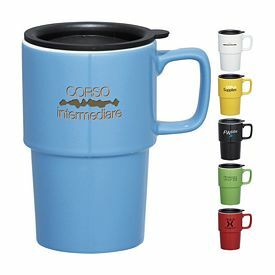 You can use these custom travel mugs for various purposes. 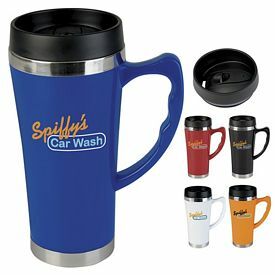 You can prevent spills with our Imprinted Tumblers and help employees get to work cleaner! 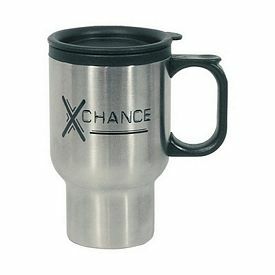 Our logoed 16 oz. 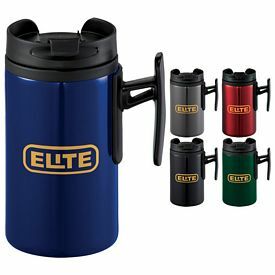 Extreme Travel Mug is a plastic bodied customized travel mug, which offers innovative shape, exquisite look, and easy portability. 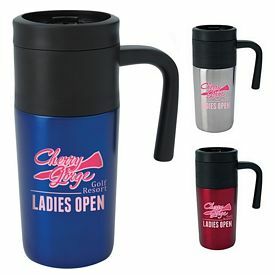 It offers a logo imprint area of 2-1/2" W X 1-1/4" H, with no multi-color imprint option. 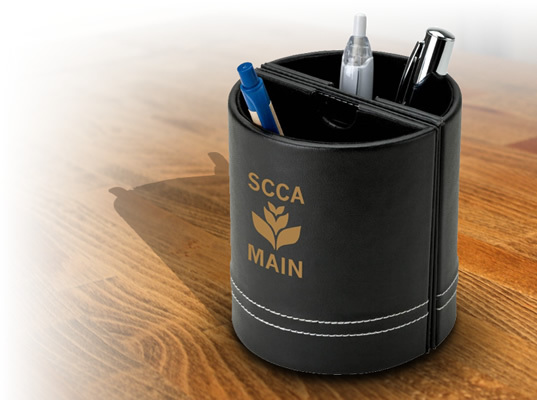 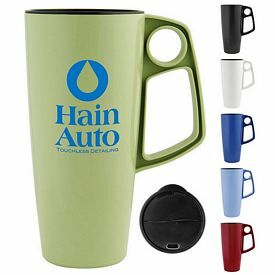 Though, you can use screen print decoration technology to imprint your business logo or emblem on this promotional travel mug for endorsing your business name precisely. 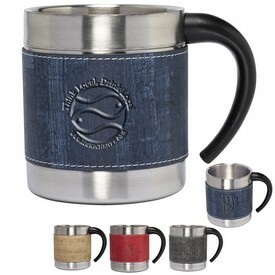 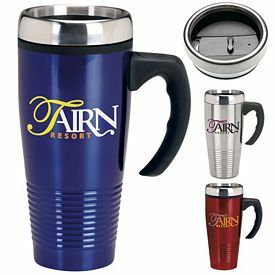 Imprinted Travel Mugs are durable, and furnished with hard rock plastic material, which aids you to use these travel mugs frequently. 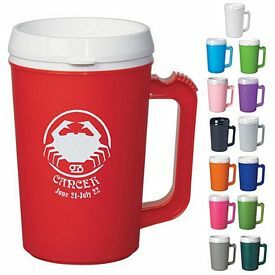 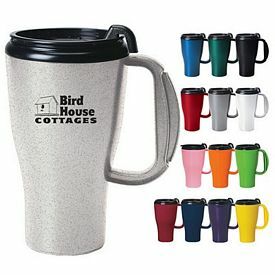 You can enjoy your favorite drink in your vacation by preserving the drink in promotional travel mugs. 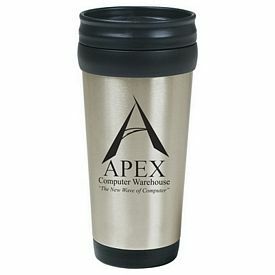 If you are searching for an innovative promotional travel mug, then our promotional 16 oz. 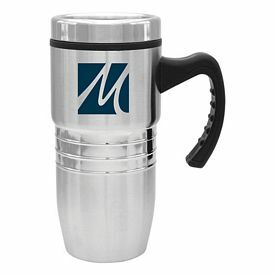 Low Rider Desk Travel Mug would be the perfect option for you. 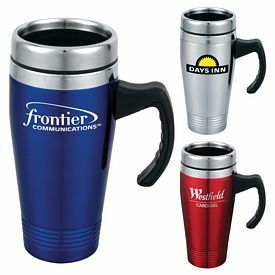 Promo travel mugs are also manufactured with utmost precision, featuring the excellent look and a rubber stand at the bottom. 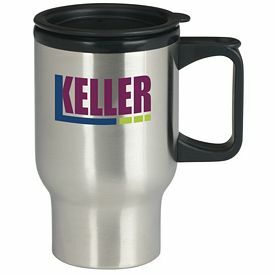 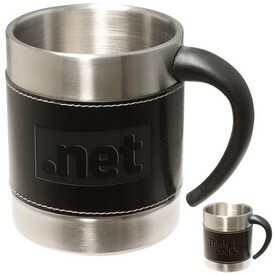 With these imprinted travel mugs you can create name branding with a high retention travel mug. 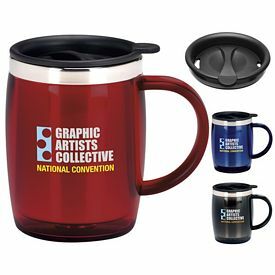 This promotional travel mug features a 2-1/2" W x 1-1/4" H logo imprint area and screen printing decoration technology has been endorsed with this exclusive promotional product. 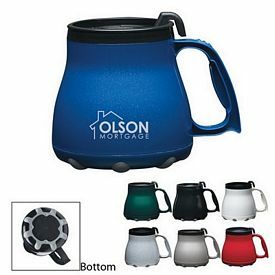 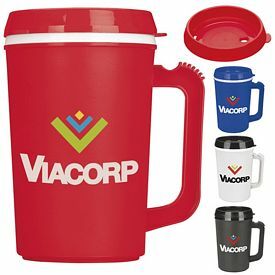 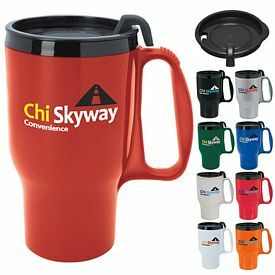 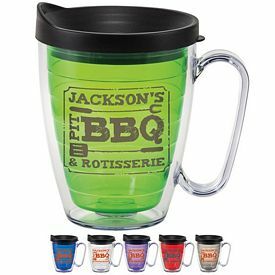 Promotional Travel Mugs come with various color options for the users, including colors like red, green, black, granite, etc. 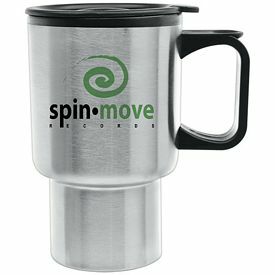 Our Promotional 16 Oz Stainless Steel Travel Mug with Plastic Liner features a complete stainless steel body, coupled with plastic liners. 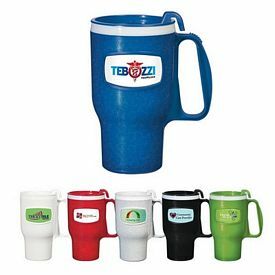 Customized travel mugs are exclusively manufactured to provide durability to the users. 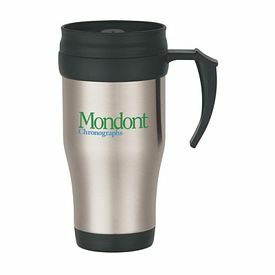 These branded travel mugs feature logo imprint area of 3"W x 2-1/4"H. Buyers can enjoy our free 24 hour rush production service with this product, along with our no setup fees feature. 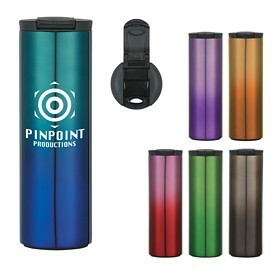 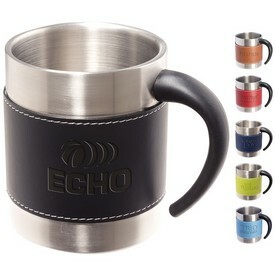 Imprinted travel mugs feature easy portability and they can keep your beverage fresh for a long time. 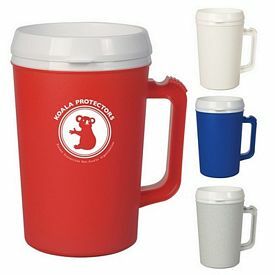 Whether you want to preserve your hot drink or cool drink, the temperature will stay the same and you can enjoy them while traveling. 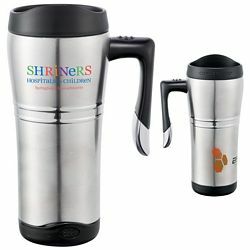 Promotional travel mugs are considered exclusive gift materials which will surely fetch positive business PR and thus will help your business to expand swiftly.